Accidentally order the wrong item or change your mind? 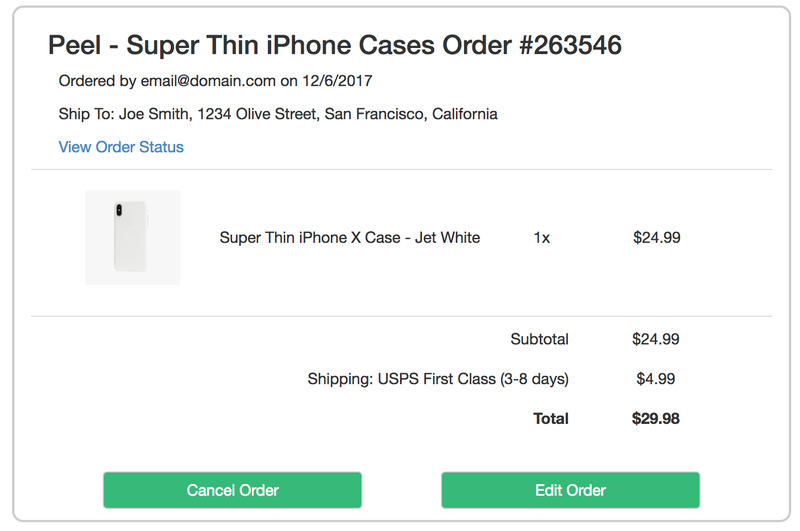 To change or cancel your order, first find your order confirmation email that was sent to you. Inside the email, find and click the "Change or Cancel Your Order" button. You'll then be taken to this screen which displays your entire order. To Cancel your order – select the "Cancel Order" button which will cancel your order and refund you. To Edit your order – select the "Edit Order" button which will first void your original order and refund you. You'll then be taken to your shopping cart where you can modify its contents. You'll then need to checkout again to order the new items. Note: if your order has already been fulfilled, you won't be able to cancel or edit your order.